If you care about your oral health, you have probably heard about the importance of visiting your dentist every six month for thorough, professional teeth cleaning and a dental checkup. But why do you need to go to the dentist in Newbury Park & Conejo Valley if you have a good at-home oral care routine? No matter how well you care for your teeth and mouth at home, you should still schedule regular visits with Dr. Villarreal to get your teeth cleaned and mouth examined. 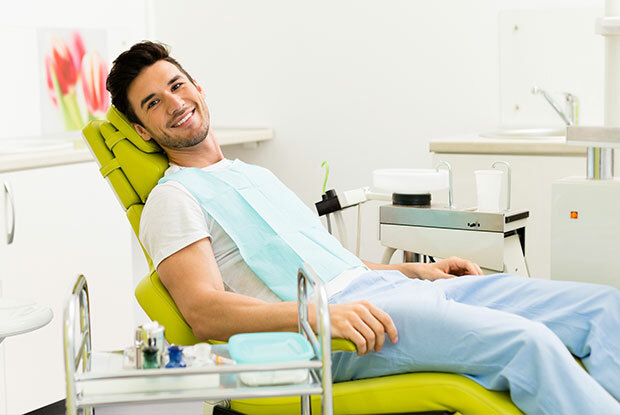 If it has been a long time since your last dental checkup, you might be wondering what to expect at a routine appointment in a biological and biocompatible dental practice in Newbury Park & Conejo Valley. A Registered Dental Hygienist will remove all the plaque and tartar that has built up on the surface of your teeth, gum line, and hard to reach areas of your mouth. Dental cleanings are a regular part of any excellent oral hygiene program. This is similar to a standard medical check as they both are preventive measures aimed at helping you stay healthy. Your oral health is connected to your general health. For instance, studies have shown that periodontal disease may aggravate diabetes and cardiovascular diseases; pregnancy can lead to increased risk of cavities, periodontal disease, and tooth loss; and stress may lead to dry mouth syndrome or TMJ. A dental exam from a biological dentist like Dr. Villarreal is the best way to detect any oral problems in their early stages, and introduce an appropriate treatment to keep them from developing into major problems that adversely affect your general health and increase your treatment costs. Even young children can benefit from a dental exam, as soon as they have 4 teeth in their mouth. Dr. Villarreal will teach you how to care for your child’s teeth and mouth. Toddlers and older children can be taught about proper brushing and flossing techniques, reinforcing the importance of dental care and oral hygiene in their life. A dental exam and professional cleaning takes less than one hour. Depending on the results of the exam, Dr. Villarreal will recommend an appropriate date for your next dental appointment, which could be in six months, or earlier or later. If dental treatment is necessary, you will need to schedule a meeting as soon as possible. If you are looking for a biological dentist in the Newbury Park & Conejo Valley area to clean and examine your teeth and mouth for your optimal health and wellbeing, please contact us today to schedule an appointment with Dr. Villarreal.